Produced and designed by Carla David Design, Co., The Dazzling Details Wedding Bazaar was hosted on November 3rd at the Hotel Monaco in Alexandria, Virginia. 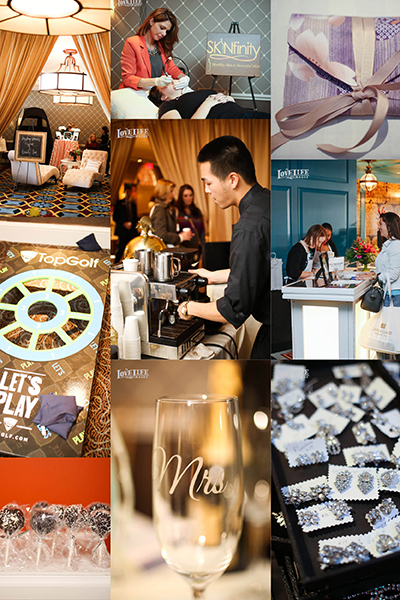 Our guests took home luxury shopping bags full of fabulous products, gift certificates, and the honeymoon kit while also receiving free massages, mini manis, eyelash makeovers while enjoying the shopping experience from over 50 vendors showcasing their dazzling products. 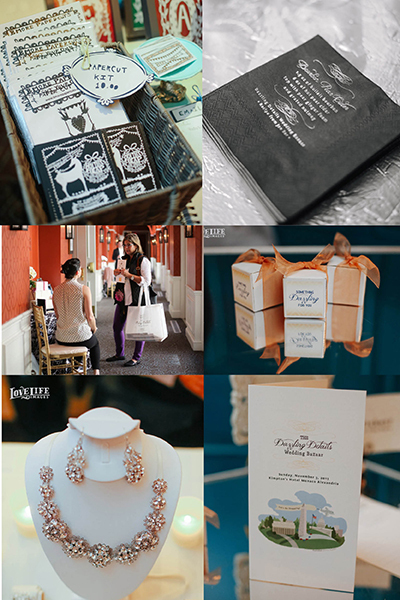 Carla David Design Co. designed all the fabulous branding details for the event, and wonderful photographer Jennifer Domenick of Love Life Images was there to capture all the details and fun of the event. A special thank you goes out to all of our fabulous sponsors and vendors for helping to create such a great event. Join our community on facebook, twitter and pinterest to stay up to date on event happenings and be sure to join us at the next Bazaar this spring, on Monday, March 24th from 4-8pm at Hotel Monaco in Baltimore, Maryland!